We’ve been having an interesting discussion in my on-line course about the labels people use to describe their horses. Words are so interesting. Recently I flew on a Delta airlines plane. 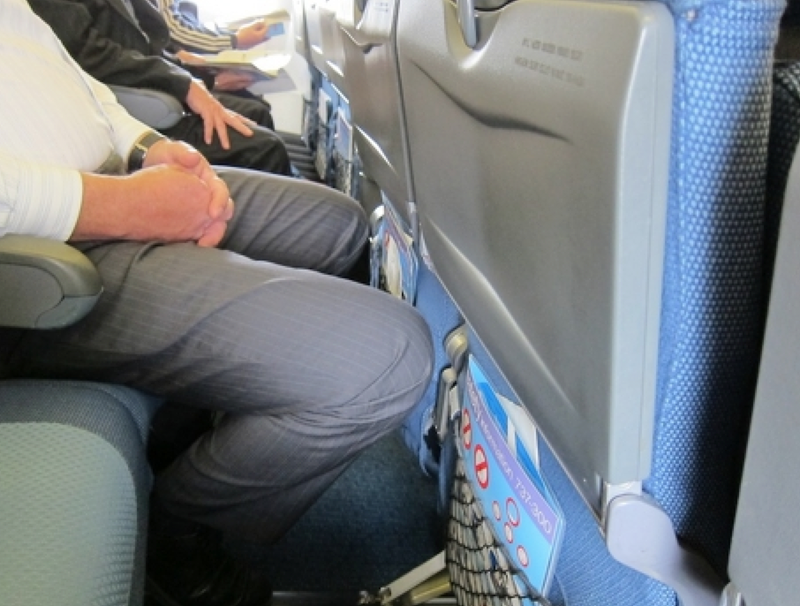 Most of the airlines have rows at the front of the economy section that give you a couple more inches of leg room. 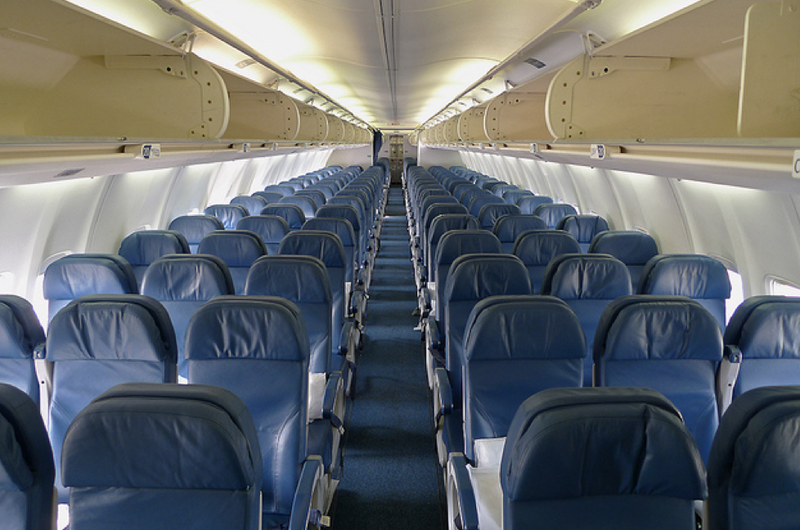 United calls this section economy plus. Delta calls it comfort seating. As I walked past the last row of this section to my seat in the middle of the plane, I couldn’t help thinking: “abandon hope all ye who enter here.” If I have just passed the comfort seating zone, what was left – the comfortless seating rows. Exactly right! Words matter. Labels matter. We use language so we are constantly creating labels and attaching them to everything. We name our family members, our friends, our pets, the objects around us, the thoughts and emotions we’re feeling. When we talk about our horses, we often find ourselves saying they are dominant, stubborn, aggressive, playful, friendly, submissive. We stick these labels on the animal, and they become self-fulfilling prophecies. The power of expectations is huge. Dr. Robert Rosenthal demonstrated this in a clever study done with rats. Twelve lab techs were each given five rats. Their job was to train their rats to run through a maze. 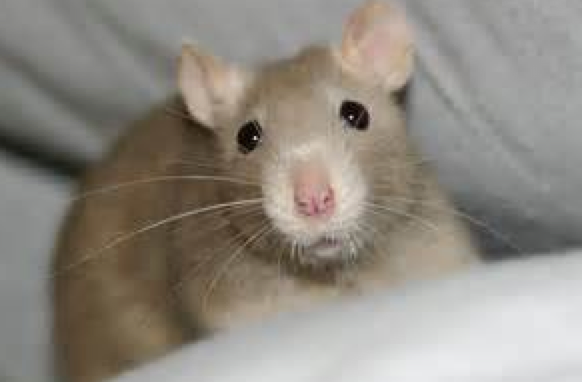 Six of the lab techs were told their rats came from a strain that was bred for good performance. The other six lab techs were told their rats came from a strain that had been bred for poor performance. They were given five days to work with their rats, and from day one on there was a significant difference in how the rats performed. 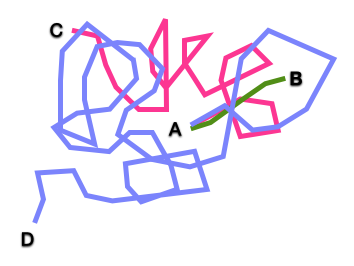 The “smart” rats learned the maze much faster. Of course, you’ve already guessed the set up. The rats were all from the same strain. There should have been no significant difference in performance, but the expectation of the handlers impacted how they handled the rats. The “smart” rats were handled more gently which resulted in them performing almost twice as well as the “stupid” rats. The expectations of the experimenters had created a self-fulfilling prophecy. Rosenthal went on to conduct similar tests of expectations in schools. In one study all the students in a class were given an IQ test at the beginning of the school year. The teachers were then told that five of the students had scored exceptionally well on the test and could be expected to excel throughout the year. At the end of the year, these five students had indeed surpassed all the other students in the class. And again, you’ve probably guessed the set up of the experiment. The five children were picked at random. Their scores were no higher than the rest of their classmates at the start of the school year, but the extra attention the teachers gave them again created a self-fulfilling prophecy. Rosenthal dubbed the influence that expectation can have on results as the “Pygmalion Effect”. His work clearly shows us that labels and the expectations they create do indeed matter. What Are You Attaching The Label To? Dr. Susan Friedman and other behaviorists remind us that the emotionally charged labels we use don’t describe the whole animal, they describe the behavior we’re seeing. That shift in focus is important. If I think of a horse as aggressive, we can both become trapped in this label just as surely as a fly is trapped in amber. Labels can become dead ends. An aggressive horse becomes just that. Even if I modify his behavior, that label remains attached like a permanent brand tattooed around his neck. He might not be showing aggression now, but watch out, that label warns. This is an aggressive horse. When you unlock the horse from these labels and describe instead the behavior you are observing along with its antecedents and its reinforcers, you also unlock training solutions that create the potential for lasting change. So instead of stripping our language down to the bare bones because we are afraid to use any descriptive labels at all, let’s learn instead how to put the Pygmalion effect to work for us. If our expectations contribute to the outcome we get, then let’s use labels that take us in the direction we want to go. When you attach labels, think about what you want to modify. Are you describing the whole horse or just the behavior you are seeing in this moment? If you do label the horse, select ones that take you to the horse you want to have. I believe that horses are intelligent animals, and I love being around smart horses. 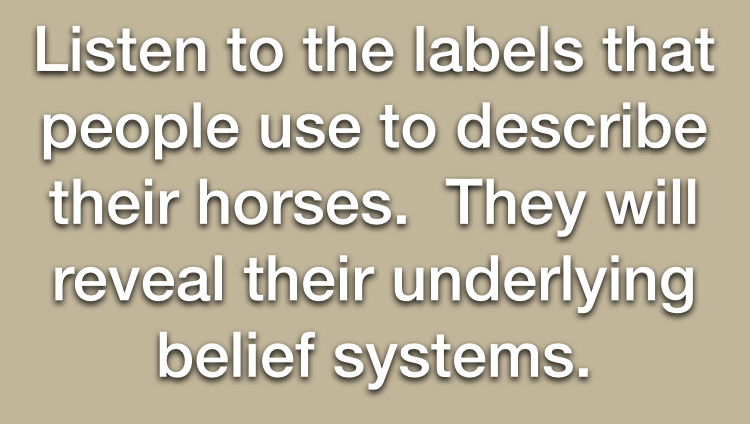 The labels that I attach to the horses I’m with reflect this belief system and direction I want to be heading with them. Listen to the labels that people use to describe their horses. They will reveal their underlying belief systems. We attract evidence to support our belief systems. If I believe that horses are intelligent animals, I will be most aware of experiences that support that view. Someone else might think of horses as stupid animals. Guess what they will notice? We can see the same behavior, and our underlying belief system will cause us to see it in completely different ways. We’ll each end up attaching labels that support our belief system. So when you use someone else’s labels, you want to consider their underlying belief system. Is it a match with where you want to be heading with your horse? If you try on someone else’s label, examine carefully what expectations that creates for you. When I say my horse is “smart”, there’s delight and admiration attached to that label. You might use that label and find that it creates problems. What happens if your “smart” horse doesn’t understand a lesson? Do you get frustrated with him because he’s not trying hard enough? He should be able to get this. If a label leads you down a relationship path that creates disappointment or conflict, don’t use that label. Labels are often based on an incomplete analysis of the behavior we’re seeing. We hear so often horses are prey animals, and they are flight reaction animals. Lets take those descriptions a step further than these statements usually carry us. Horses are herd animals. 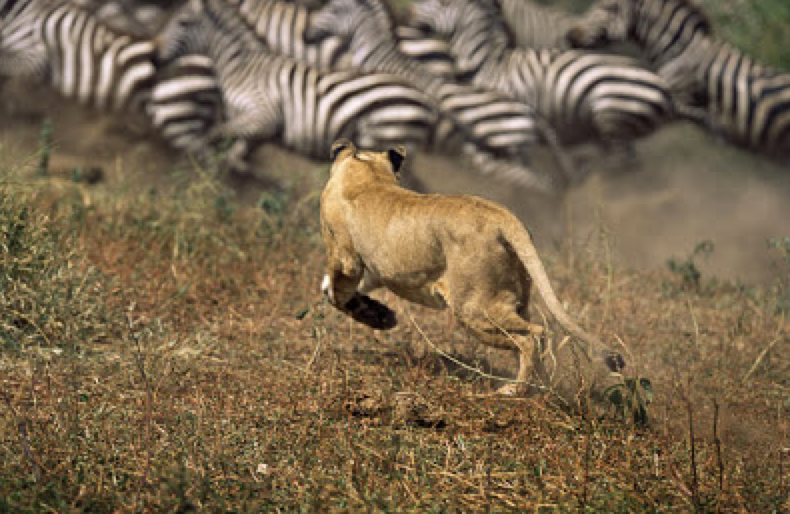 They form social groups to provide safety from predators. When a predator attacks what do horses do? Run, of course. But not apart. They don’t scatter in all directions. They bunch together. Why? Because that tighter bunch makes it harder for a predator to get in close to take one of them down. So when a horse is startled and crowds in on top of you, is he being pushy, or is he trying to keep you both safe? When you drive him out of your space because you’ve been taught that this behavior is a sign of disrespect, what must he be thinking? That you’re literally throwing him to the lions. For obvious reasons we can’t have our horses jumping on top of us, but if I see this reaction as a desire for safety, I’ll find training solutions that support this need. Our underlying belief systems and our understanding of horses will very much influence how we see this event. It will impact what labels we attach to the horse and what training solutions we choose. Through clicker training we are learning to look beyond the easy out of incomplete or outdated labels to the behavior we are seeing. Horses do indeed have very definite personalities. One of the great pleasures of clicker training is the horse’s personality can be expressed and remain intact. That makes it very much a study of one – your horse with his unique personality and life history. When you describe him, use words that lead you to towards the kind of relationship you want to have. I believe horses are intelligent and my expectations create that reality in my horses. P.S. If you want to learn more about expectations, listen to the January 22, 2015 podcast of NPR’s Invisibilia: How to Become Batman. You’ll hear Robert Rosenthal describe the study he did with the rats, and you’ll also hear from Stanford psychologist, Carol Dweck. I’ve referenced her work in previous articles. Instead of being defeated by the cloud, Alon and his graduate students use it to find creative solutions. How did Alon find this creative solution for his teaching when other researchers did not? Innovations rarely come from within a field. They come from bringing in fresh ideas from other sources. So what was the fresh idea Alon brought to his research? At the same time that he was working on his Ph.D, he was also studying improvisational theatre. As an actor, he was actively taught how to deal with failure. One technique for going into the unknown was saying “Yes, and . . .” to what other people offered. Alon: “Yes and . . .” means agreeing with and building on another person’s offer. If an actor says: “Here’s a pool of water.” and the second actor says: “No, that’s just the stage.” you have nowhere to go. The second actor has created a dead end for your idea. The improvisation is over, and everyone on stage feels frustrated. That’s called blocking: saying no to the other person’s idea. There’s a pool of water. Let’s grab it by the tail. It’s taking us to the moon. That way you unlock hidden creativity building on each other’s ideas. We have an inner critic that keeps us from grabbing the whale by the tail because we don’t want people to think we are ignorant, stupid, or foolish. Saying “yes, and . . .” by-passes that inner critic. Saying: “My horse can’t pick up his right canter lead” is limiting and creates dead ends. Saying: “My horse can’t pick up his right canter lead – yet” opens the door to possibilities. The horse world is full of: “No, not that.” We are the ones on stage saying: “no that’s not a pool of water. Don’t go there.” We are actively taught to block. We slide down the lead asking for movement and our horse takes a step – just not in the direction we want him to go. He tries again. “No, not that.” We keep shutting him down and shutting him down. Is it any wonder we see so many horses who have lost all the sparkle in their eyes. What we love most about horses, their spirit, we rob from them with all of our “No, not that” blocks. How much better to say: “Yes, and. . .” That’s how we should be shaping behavior. This is what the best shapers know how to do. They set up the training environment so they can ask for tiny slices of behavior. Each slice is greeted with a “yes, and . . .” Yes, you shifted your weight. That’s great. Now what else can you do? Recently I was working with a group of horses who I have come to know well. When I first met them, they were saying: “No, not that” to me every time I slid down a lead. I could tell from their responses that they had encountered a lot of blocking in their past. The lead didn’t invite movement. It stalled them out. We’ve had a great many roundabout conversations about lead ropes and the cues they can give. On this last visit the pieces of the puzzle began to come together. We had our first true “yes and” conversations via a lead. Each time I slid my hand down the lead, I was inviting movement. I was answered with a positive response. I might want more of a step to the side, but instead of blocking what they gave me, I accepted the offering and built on it. Clicker training gives us the freedom to say “Yes, and . . .” The horse training I originally learned was all about saying the opposite: “No, not that . . .” I think this is a huge dividing line between what clicker training offers and what traditional training encourages. We look at what we want our animals To Do, and we say “yes” to their offerings. While I was working on this article, I took a break from the computer and went out to give the horses their lunch. While Peregrine ate his mid-day mash, I cleaned stalls, checked the water, refilled the hay boxes. By that time Peregrine was done. I opened his stall door, and Robin went in to make sure that Peregrine hadn’t left anything that needed cleaning up. I fixed a cup of tea and was heading back into the tack room when I heard Robin calling to me from the arena. Next time you are with your horses say “yes and . . .” to them. Grab the whale by the tail and see where they take you. To the moon and back is a wonderful place to go when it is in the company of a horse. He’s an excellent presenter, and even though these are essentially the same talk, you will find new things in each one. I am always in search of good metaphors. Lately I have been collecting some gems from the sciences. That seems an appropriate place to look for them since clicker training is science-based. The two newest additions to the collection come from systems biologist, Uri Alon. The first is The Cloud and the second is “Yes, and . . . Learning to Grab a Whale By The Tail”. I’ll describe The Cloud first and leave you guessing about the other for another day. Imagine yourself as a graduate student just beginning work on your thesis project. You have spent thousands of hours studying the results of other people’s research, but you know next to nothing about the research process itself. That was the situation Uri Alon found himself in when he entered graduate school. He had a question and some assumptions about what his results should be, but when he began his experiments, the results did not follow a straight line trajectory towards the expected answer. He became so frustrated and depressed by his project that he began to feel that he did not even belong at the University. He had read about great research results, but not about the process that brought researchers to these discoveries. Somehow he made it through his first project only to find himself floundering about again in the same emotional turmoil when he embarked on his second thesis project. When he asked other graduate students what they were experiencing, they confirmed that it was much the same for them. The frustration did not end there. When he became a professor, he again encountered the uncertainty of what to do. How do you choose a research project? How do you mentor others through the process of doing research? All those thousands of hours of study that had brought him to his own lab were not enough to answer those questions. Journal articles reported on the end product, not the hundreds of tedious hours researchers spent going in wrong directions. Imagine yourself as a first time horse owner. You have read everything you can get your hands on about riding. You have spent who knows how many hours reading about the results of other people’s training experience, but you have very little direct knowledge of the training process itself. You know how to ride, but you have always been on horses someone else has trained. You know how to direct them literally from point A to point B, but you know very little about what was done to get their training to this point. But not to worry. You have bravely bought your first horse, a youngster who presumably was started under saddle. You are slowly discovering that your basic assumptions about how much this horse knows are not quite a match with reality. But that’s all right. You’ve read the books. You subscribe to all the popular magazines. You’ve memorized the steps the authors describe for dealing with the problems you’re encountering, so you head out to the barn filled with confidence that you will soon have your horse sorted. That’s when you discover that A does not always lead directly to B. Back to physics: Alon had a mental map of how things should turn out: he had a question. He formed a hypothesis around that question. He did some work to test the hypothesis which he expected to lead to the set of conclusions he had predicted. It should have been a straight line trajectory. A (the question) leads to B (the answer). And when it didn’t, he experienced stress. Whether it is with theoretical research or practical horse training, we crave internal consistency. We want our expectations to match our reality. When they don’t, we become uncomfortable. We look for ways to reduce the inconsistency, or to avoid situations and information that might increase it. 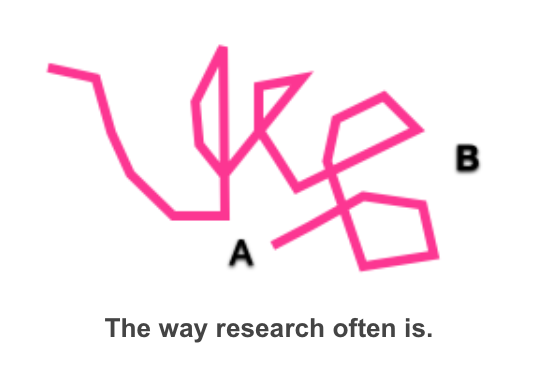 This drawing, borrowed from Alon’s presentations on the cloud, illustrates the way a research project often unfolds. You start off expecting a straight line to B, but instead your first assumption doesn’t work, so you try something else, and when that doesn’t work, you try again – and again. Equally, the drawing can also describe horse training. In the books you’ve read, it says that if you can get your nervous horse to move his feet, he’ll calm down. You follow the basic recipe outlined in the books, and not only doesn’t your horse calm down, he seems even more agitated than he was before! Oh dear. This doesn’t match what the books described at all. You try something else, and that doesn’t work. So you throw that book away and try a different author’s approach. That doesn’t work either, and now you’re feeling more and more in a muddle. In both cases you try experiment after experiment, procedure after procedure, but nothing works. You become increasingly stressed. I’m sure we’ve all read (or perhaps even written) posts to on-line forums where the person was clearly experiencing just this kind of emotional turmoil. If you are new to the training process, and especially if you are also new to horses, it’s easy to get in a muddle. You don’t understand why your horse walks away from you when you go out to catch him; why he pins his ears and bites at you when you groom him; why it’s a wrestling match every time you want to clean his feet or put on his bridle. Why, why, why, is your lament. You try different approaches and you keep getting derailed. With each new path you feel more and more in a muddle. Finally you reach a point where it seems as though all your basic assumptions have failed. It is as though you are lost in a cloud of confusion. You become frustrated, anxious, depressed. Alon refers to this emotional state appropriately enough as The Cloud. Your first experiments don’t work, but you persist, and eventually you make a new discovery. 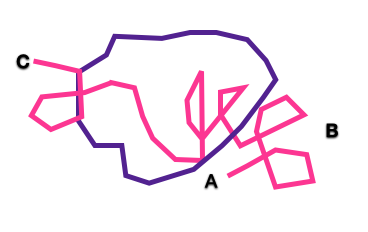 A leads to C is the way the results are presented in a scientific journal, but it leaves out the process of getting from A to C.
The same thing occurs in horse training. When you read about training in books and magazines, it can sound so straight forward. You do X and Y will happen. Easy. Here’s an exercise that will help your horse relax his top line, become more supple, and go on the bit. You follow the recipe, and your stiff horse bolts off in rebellion. You are left literally in the dust wondering what went wrong. Training can be so unbelievably frustrating in part because it is not about following simple recipes. In the DVDs that I have produced I always like to include video of someone who is new to the lesson I’m presenting. It’s all well and good to watch someone who knows the answer take a horse through the lesson. What does it look like for a new learner? What are some of the sticky places you might encounter, the skills you will need? 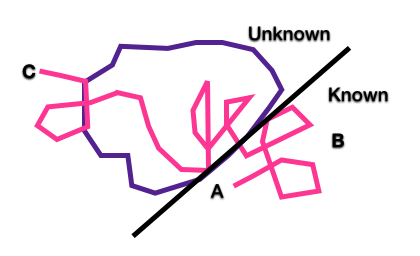 When your own horse doesn’t follow a direct line from A to B, I hope watching these lessons helps you to understand that this is a normal part of training. Even simple lessons can require creativity and innovation. That’s woven into the very core of clicker training. From the very first lesson on, flexibility, ingenuity, originality is something clicker training encourages. That links it both to science and art. In behavior analysis they talk about the study of one. That’s what we have in training. You can look at what others have done, but always it comes down to a study of one – your horse. And always it is a voyage of discovery. “In order to discover something truly new one of your basic assumptions has to change. Otherwise, it’s not new. And in this light scientists do something truly heroic. Everyday we try to push ourselves to the boundary between the known and the unknown and face the cloud. This made me think of the people who are just beginning to explore clicker training. They start out at “A” with some basic assumptions about how horses are “supposed” to behave. These assumptions are based on their previous horse experience and what others around them tell them about training. These assumptions may include things such as: horses are not supposed to offer behavior; they are to do what they are told; you need to be the alpha, the leader to be respected. And then they have their first clicker lesson and all these assumptions are turned inside out and upside down. The belief systems that underpin clicker training are a world apart from what others have been telling them. Is it any wonder that the difference between what they have been taught and what they are encountering creates confusion. Sometimes they quit because the people around them are so critical and judgmental. It’s hard to keep going when you are surrounded by disapproving stares. Everyone is watching while your horse mugs you for treats. Aargh! What do you do! What you do is find a more sympathetic support team. If you’re in a muddle, feeling confused, frustrated, annoyed by your horse’s behavior, you’re very much in the cloud. The on-line clicker community can help guide you safely through your introduction into clicker training. They understand the process because they’ve been through it. They may not have a word for the muddle of emotions you find yourself in, but they have experienced it and know that things do sort out. Alon: “[As a mentor] I’m kind of happy, because we might be close to the boundary between the known and the unknown. We stand a chance of discovering something truly new. The way our minds work, just knowing that the cloud is normal, it’s essential, and in fact beautiful, means we can join the Cloud Appreciation Society. It detoxifies the feeling that something is deeply wrong with me. 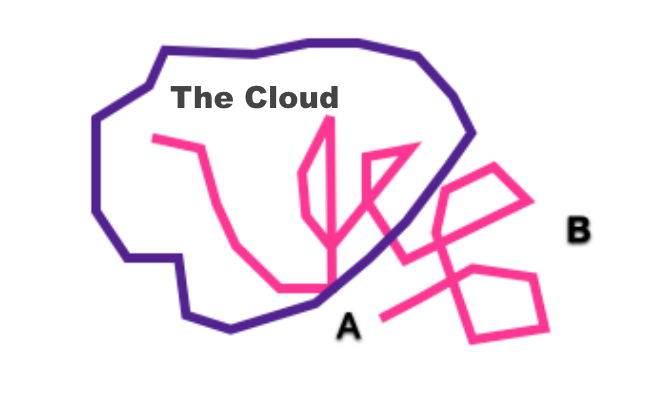 The cloud gives us a way of understanding the training process. It doesn’t matter if others have worked out tried and true methods for working with horses. That’s their experience. You have to find your own path. They can guide you, but again, it is always a study of one. With your own horse some things may seem very easy and straight forward. The lessons will unfold exactly as the books suggest, but then you’ll encounter situations that just seem baffling. “Why won’t my horse go on the trailer; line up next to the mounting block; stand quietly for the farrier. I’ve tried everything!” Others can hear the frustration and despair as you tell your story. You have tried one suggestion after another, and all that has happened is you feel more and more tangled. You are well and truly in the cloud. Remember what Alon said: the cloud means you are in the boundary between the known and the unknown, and you stand a chance of discovering something new. When you know the cloud is “normal, essential, and in fact beautiful”, you too, can join the Cloud Appreciation Society. 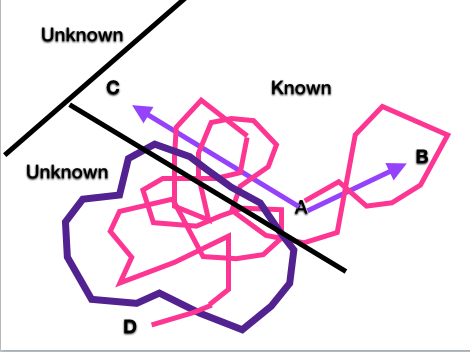 If you are feeling confused, if your training isn’t going along smoothly on straight line trajectories, there is nothing wrong with you or your horse. Every learning process is a voyage of discovery. I may know the answer because I have been on this voyage before you, but you don’t. I can give you some sign posts to follow, some milestones to look for, but at the end of the day, you have to find your own way. The path you take may not be quite the one I expected. Think of the way children learn. Both parent and child are enriched by seeing the world through their fresh eyes. The same is true for training horses. It is best to walk into the unknown in the company of somebody else. For many stepping into clicker training is very much stepping into unknown territory. If you are taking that step, having good mentors can be a huge help. They can remind you that the path you are on is one worth following, even if at times it feels as though you are heading into brambles. The brambles are just the boundary between what you know and the uncertainty that comes from exploring a new path. Your mentors may be others in your barn who want the same kind of relationship with their own horses that you do with yours. Or they may come from connections you make on-line, from reading blogs like this, and other virtual resources. They might even be a canine clicker trainer who knows nothing about horses, but lots about training. I will be celebrating Peregrine’s thirtieth birthday this spring. Over the years he has sent me into many dense clouds filled with frustration. Some were the normal things you run into when you are raising a young horse. Some were directly attributable to the physical issues he had with his locking stifles. Uri Alon’s description of the frustrations he encountered doing his graduate thesis rang very true with me. They described very much what Peregrine put me through, especially in his first couple of years. He was my “graduate thesis”. I would solve one problem, feel the elation and satisfaction that goes along with that, and then Peregrine would present me with another, even more challenging puzzle. I’d be thrown right back into the cloud, trying to figure out the puzzle that was Peregrine. If other horses now seem much more straight forward to me, it is only because he was so very, very difficult. We eventually got things more or less sorted. Then Peregrine got Potomac horse fever, and the clouds set in denser and thicker than ever. The Potomac horse fever damaged his feet. It took us three years to work our way out of that Cloud and to bring him back to full riding soundness. Around that time I started experimenting with clicker training. I had “A” – the question: what is this and how do you use it with horses? I set out on the first step, found several easy “B”s. That encouraged me to keep going. But as I kept exploring this question – what is clicker training and how do you use it? – I found that the line between A and B was not always so straight. That led to new, different, other ways of solving puzzles. 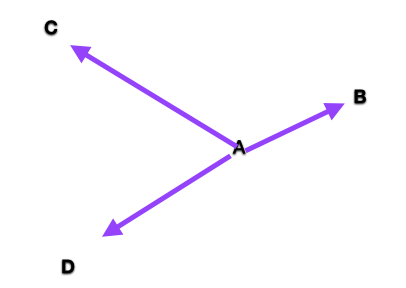 With most horses the answer is a straight line trajectory between A and B. B in this case is you use targets. You click and treat as your horse sniffs the target out of curiosity. But what about the horse who has lived surrounded by loud electric fences and panics at the sound of the clicker? Okay, that’s easy. You use a different marker signal. But he’s still afraid to come up and explore your target. You try one approach after another. Finally what works for this horse is sitting quietly with him in his field while he makes the choice to come to you. 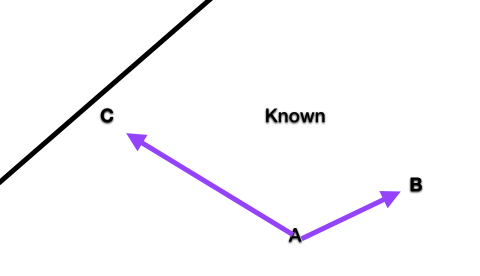 You have found your new C. But once it is found, C sits within the boundary of the known. So now with most horses you know you can begin with basic targeting. But with very timid horses you may first have to begin by reinforcing them for showing any interest in you at all. Everything is great until you work with a friend’s horse who panics when she’s separated from the other members of her herd. Touching targets holds no interest for this horse. All she wants to do is get back to her equine friends. And you could sit for days in her field, she has zero interest in you. So you’re back in the cloud trying to figure out an approach that will work for her. You try several different approaches until finally, perhaps with some help from your mentor, you spot D, the new solution you hadn’t seen before. You change the way you have your training area set up, and now you have a horse who is engaged with you. So now D sits within the known strategies. Each new puzzle, each new horse, each new venture into the cloud, expands your training knowledge. What at first seemed like just a tangled mess, now feels like very straightforward, familiar territory. You begin to know how to deal with a greater variety of situations, but don’t get too smug. It is the nature of horses to throw new clouds at us. Just when you think you are starting to know something, along will come a situation that sends you into the thickest of thick fogs. I do love this image because it helps us understand the feelings of frustration that come so easily when we are trying to sort through the puzzles our horses throw at us. There’s nothing wrong with us, with them, or with the training system we are exploring. It is okay to feel confused, and frustrated. When you do, you can now say you are in The Cloud. And you can also know this is a good time to seek out the help of others. They may not have answers for you, but they can at least offer you the support you need to stay open and creative. Alon’s map helps us understand training in yet another way. You began with a simple question (A): How do I get started? As you worked with the three horses in your herd you found three different answers. This confusing mess sorted itself out in your mind and became . . . 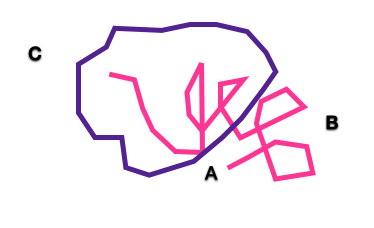 Your first horse followed a fairly conventional path to “B”. The other two horses were rescues with issues coming from past experiences complicating the process. They stretched you to find “C” and “D”. But now each of those solutions becomes the launching point for the another question: What do I do next? I will leave it up to you to draw out the map. Each layer takes you deeper into the training process. 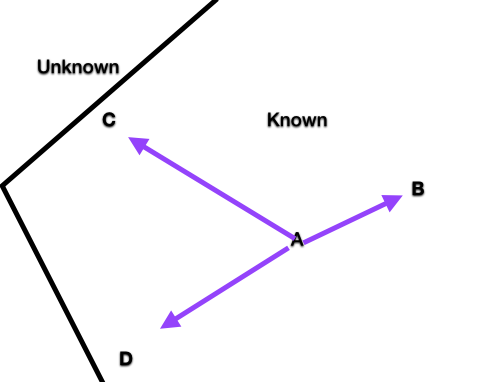 You will see intersecting paths. When you come to these again with a new horse, you will know you have choices. Each has led to successful solutions in the past. This is how training experience grows, horse by horse, lesson by lesson until you have a complex mosaic of choices all sitting comfortably within the boundaries of the known. You have created a rich tapestry of training connections. Now when you introduce the next horse to the clicker you do so with the confidence that comes from having successfully navigated your way through many clouds. You are comfortable stretching yourself beyond the boundary of the known because you understand the cloud. You know that the muddle of emotions you sometimes experience when you are learning something new is not something to be afraid of. It’s not something to back away from. It is the sign post that tells you are leaving the security of the known and venturing heroically into new territory. You are facing the cloud, and you know beyond it is a new discovery and another layer of connection with your horse.